Welcome to Austin Business Furniture. Let’s design your next office.  Established in 1985, Austin Business Furniture (ABF) is a locally owned and operated contract furniture dealership located in Austin, Texas. While the majority of our clients are based in the Austin area, we routinely provide products and services to clients throughout the state of Texas, and across the United States. We strive to provide each client with the highest level of satisfaction; creating work spaces to best suit their needs with products that support their environments. No matter what you do, you’re in the business of growth and your workplace is where it happens.We are your partner in designing a space that supports and enhances your ideas. Austin Business Furniture offers the expertise that enables your vision to be defined. When all is considered, the result is the acquisition of the best products and services for each dollar you spend. Our brokers spend all their time doing deals, so they can focus on helping you find a furniture you love. Not hunting for their next commission. Austin Business Furniture is Central Texas’ premier contract furniture dealership celebrating over 30 years in Austin. For decades, we’ve achieved the most practical balance between aesthetics, ergonomics, sustainability, functionality and of course, budget. Contract Resource Group is a subsidiary of Austin Business Furniture- an established dealer in Houston, Texas providing our clients with quality furniture, modular architectural walls and related services, including consultation and planning, project management, inventory and asset management and many more. We’re a venture-backed commercial furniture company looking to disrupt a multi-billion dollar industry. Austin Business Furniture works with the world’s leading manufacturer of high-end office furniture, HNI. We know our customers have a lasting product that is sure to impress for decades to come. The strength of our partnership enables us to provide the best office furniture solutions to meet the needs of every customer – from the largest multinational organizations to the local entrepreneur and startups.